My favorite thing to listen to as of late has been Broken Bells’ self-titled album, followed closely by Surfer Blood’s Astro Coast. I saw the latter open for The Pixies at the Wellmont Theatre in Montclair a few weeks ago, where both bands put on a great show. Click the album art to hear my favorites. I’ve enjoyed all of these except for the new Chili Peppers album which, unfortunately, I thought was so-so. This was a pretty eventful weekend. First and foremost, I tried a new muffin recipe. Michael’s two zucchini plants are starting to go crazy, and we are becoming increasingly overrun with said vegetables. 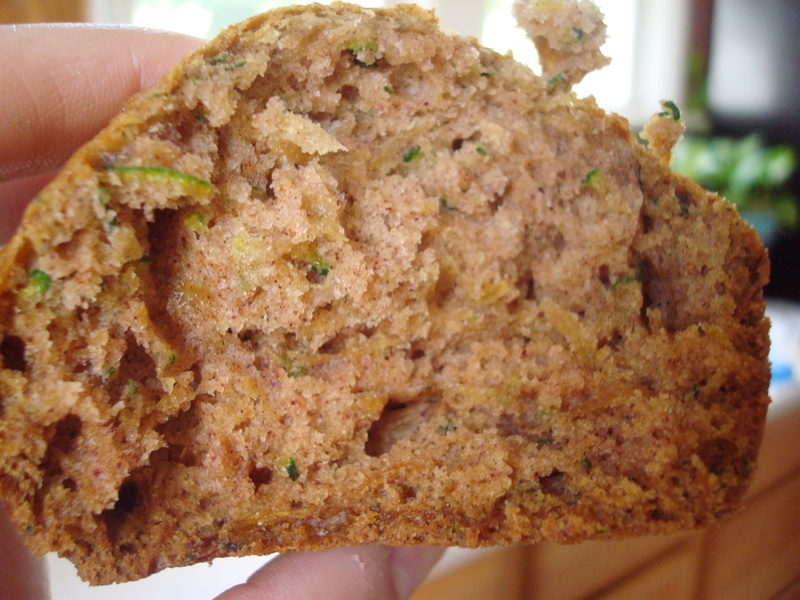 As a result, I have been scouring the internet for different zucchini bread and/or muffin recipes to test out. 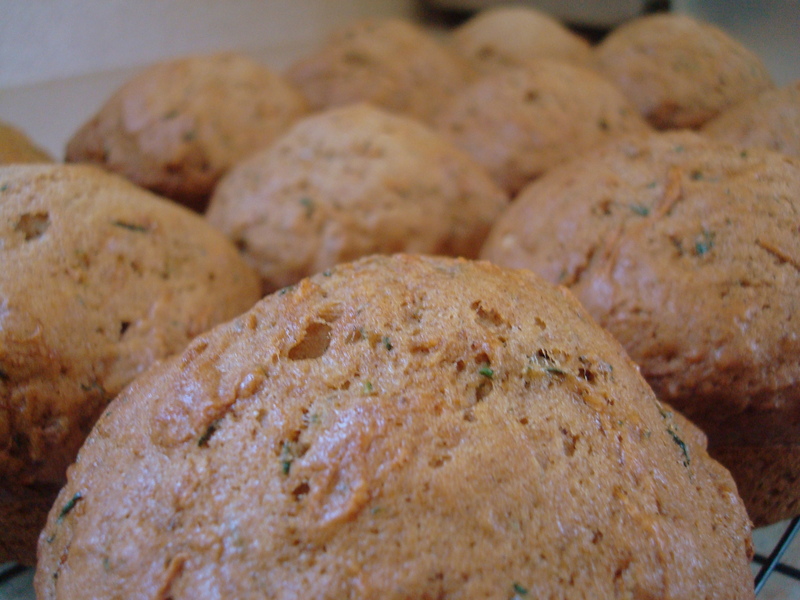 The muffins are moist and sweet…maybe even a little too sweet. For the next round of muffins, I think I’ll try to find a healthier recipe that uses less butter and sugar. 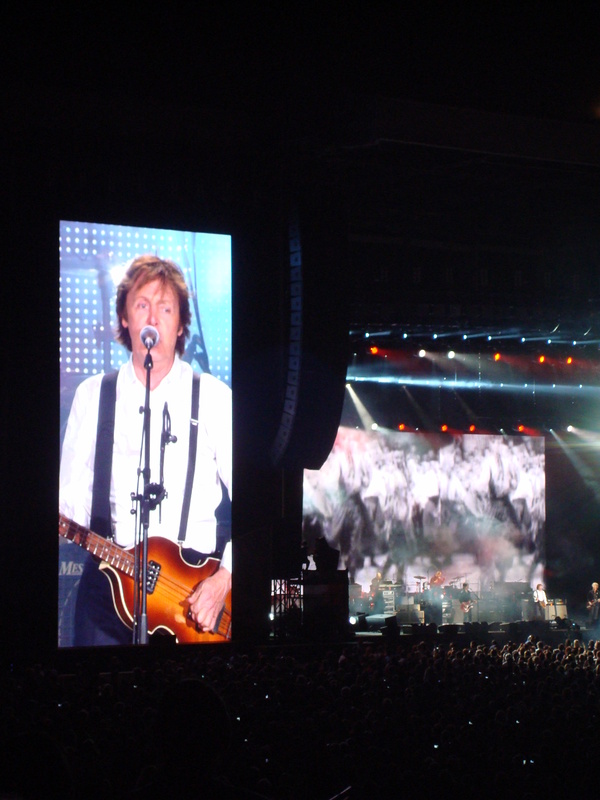 The other thing I did this weekend was take a trip out to Yankee Stadium to see this dude, Paul McCartney, kick off his “On the Run” tour. I think he’s relatively new to the music business, but he was pretty good nonetheless. In all seriousness, that was probably the best concert I will ever see. Aside from the simple fact that it’s Paul, he totally killed it. All of the songs were great, but the best performance was, hands-down, Live and Let Die. Paul may be 69 years old, but he still rocks pretty hard. My other favorite part of the night was when he played I Will, probably my favorite Beatles song. He also played The Night Before, which was only the second time the song has ever been performed live (I think Friday night was the first). A quick note on the new Yankee Stadium: I was not impressed. From everything I’d heard after it was built, I expected it to be very beautiful and palatial. Once I was there, I found it stark and impersonal. Now, I’m no stadium aficionado by any means, but I think Citi Field is way nicer. But that is neither here nor there. Anyway, it was a great weekend, thanks to equal parts Paul and muffins. A couple of weeks ago, I made my first blueberry pie. I am not a complete stranger to the pie family, but my experience to date has mostly been with the pumpkin variety. 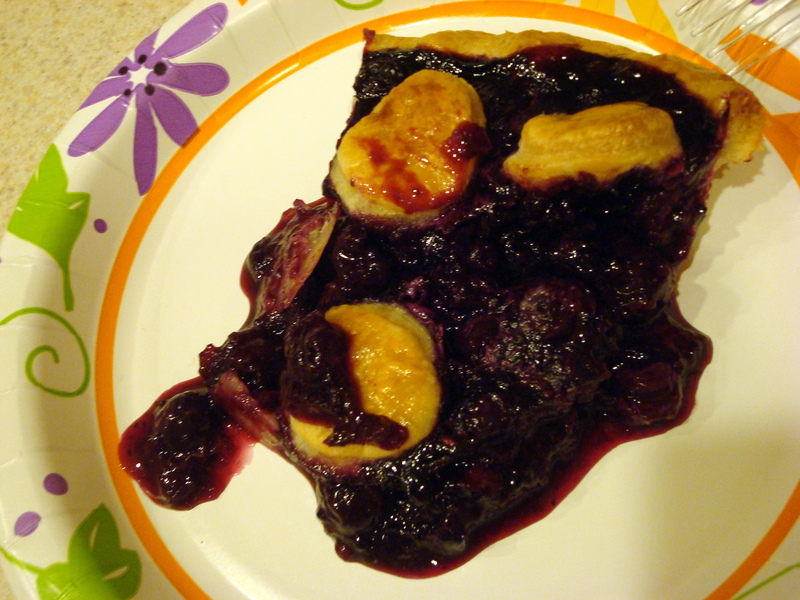 I was really excited about this pie, but it didn’t turn out quite as expected. Beautiful, yes—but a little too runny. HOWEVER—this just in—after checking the recipe again online to repost here, I see that instead of 2 tablespoons of instant tapioca (thickening agent for the filling), I am 90% sure that I used 2 teaspoons by mistake. Yes, that was a total blunder on my part, but I still maintain that that little bit of extra tapioca would not have transformed the filling into something significantly more cohesive. But, I guess you never know. Place 3 cups berries in medium saucepan and set over medium heat. Using potato masher, mash berries several times to release juices. Continue to cook, stirring frequently and mashing occasionally, until about half of berries have broken down and mixture is thickened and reduced to 1 1/2 cups, about 8 minutes. Let cool slightly. Place grated apple in clean kitchen towel and wring dry. Transfer apple to large bowl. Add cooked berries, remaining 3 cups uncooked berries, lemon zest, juice, sugar, tapioca, and salt; toss to combine. Transfer mixture to dough-lined pie plate and scatter butter pieces over filling. I am not including a recipe for the crust because A) I don’t have it on hand, and 2) I think a lot of people have their own recipes that they like to use. 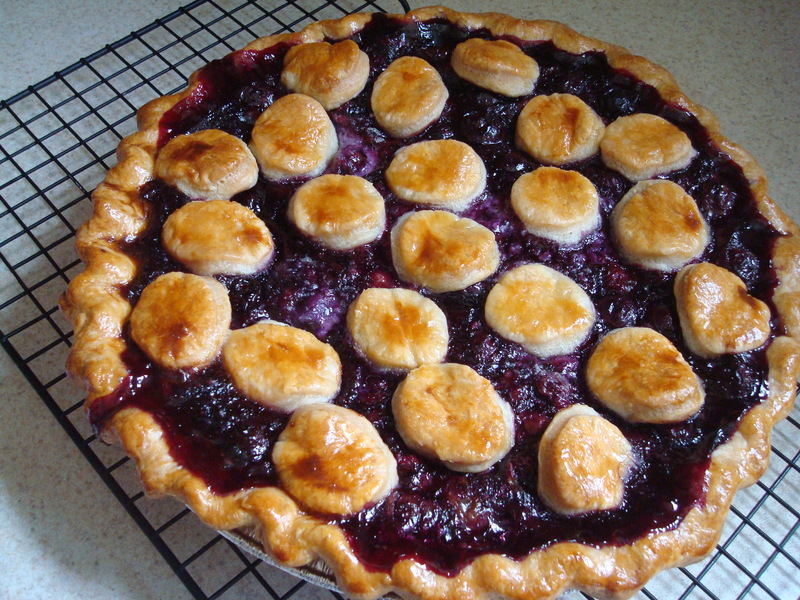 If you’d like my pie crust recipe (it is delicious, flaky, and very easy to make and roll out! ), let me know. It’s a Pinkerton kind of week. “Listening to Cio Cio San.” I saw this relatively obscure reference to track # 7 of Weezer’s Pinkerton in a friend’s Facebook status the other day. Once I started thinking about the song (El Scorcho), it led me to post my own little reference: “I’ll bring home the turkey if you bring home the bacon.” Still thinking about it later in the day, I pulled up some of the songs on YouTube and started listening to them at work. But even today, two days later, I still had the urge to listen to the album in its entirety, which is what I did on my way to work. Almost twice, actually, thanks to today’s 55 minute drive. I usually tell people that my favorite Weezer album is always a toss up between The Blue Album and Pinkerton, depending on my mood at the time. Well, this week, Pinkerton is, hands-down, my favorite. I try to be fair to their new stuff (I downloaded Hurley, and I think I listened to about 85% of it), but it truly does not come close to touching their first two albums. I’ve said it before and I will say it again. 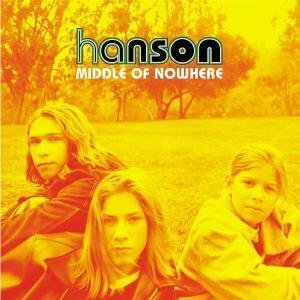 Pinkerton is a rough around the edges album with songs about pining for Japanese girls and failed relationships. Hurley is power pop with songs about how Rivers Cuomo wishes he wasn’t so old. The following songs have been running my life for the past couple of months.